At Advantage Seamless Gutters, we understand that you don’t have a lot of time to look after your rain gutters. This is why we offer Valor Gutter guards for your seamless gutters, so you don’t have to worry about leaves and debris accumulating inside them. With this addition, your gutters will operate at their peak. Valor Gutter Guards are the ideal drainage solution for all homeowners. They are designed to work with any gutter system, any roof slope and almost all roofing style. We believe in the capability of these gutter guards, as these are meticulously engineered to deliver optimum performance at all times. Here are some of the most common questions we receive about Valor Gutter Guards. It’s Made From Galvanized Steel. Will It Last Like Aluminum? Valor Gutter Guards are made from galvanized painted steel. According to experts, galvanized steel is more reliable than aluminum, and has a much lower chance of experiencing galvanic corrosion than aluminum. While Valor’s steel framing is more costly to manufacture than with soft aluminum frames, the result is a quality product that will exceed customers’ expectations. What Makes the Mesh Screen Better? 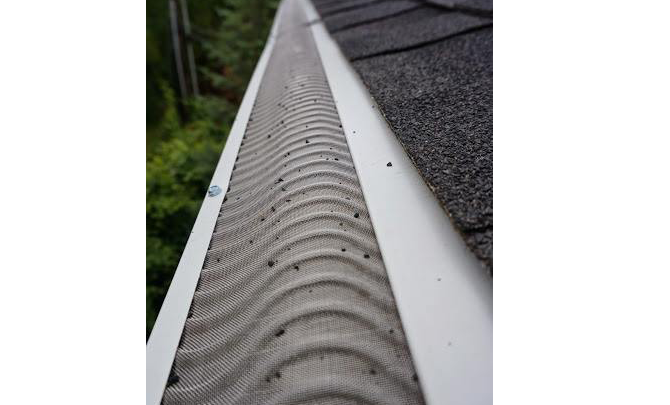 The Valor system utilizes surgical-grade stainless steel micro mesh that completely blocks debris from entering the gutter system. With its S-curved design, it slows the rainwater down and forces it into the gutter while allowing leaves and debris tostay suspended above on the ridges. As a result, this makes rainwater flow freely into the gutter while blowing debris out of the system. Thanks to its patented design, Valor simply outperforms other gutter guards in the industry today. Will It Fit Different Sizes? Valor’s Gutter Guards can fit different gutter systems, making it one of the easiest as far as the gutter installation process is concerned. These guards typically fit 4 to 7 inches gutter widths. Valor is the most affordable guard on the market. In fact, the NCR Consumer Advocacy Group awarded Valor Gutter Guards America’s best gutter guard. Valor set a new bar for affordability in the micro mesh industry, with the cost of installation being the most affordable among others on the market. Cleaning your gutters can be an exhausting task, so why not let Advantage Seamless Gutters do the job by installing Valor Gutter Guards. When you match these with our half-round gutters, you can be sure that you will enjoy low-maintenance gutters all year round. We serve the areas of Baxter and Alexandria, MN. To learn more about Valor Gutter Guards, call us at (320) 421-8726.